Get More Done. You have capable project managers, diligent task leads, expert staff, and perhaps some success with speed-enhancing methods like Agile. Yet somehow, you’re still not getting enough projects to completion. Avoid Project Failures. No matter how strong your project teams, or how mature your project execution methods, it seems there’s always that looming risk that just a single project failure might derail things, harming your credibility as an executive, creating internal strife among your teams, and encouraging your competitors. Apply the Right Mix of Methods. 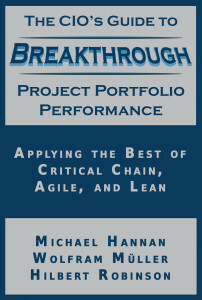 The zealots would have you believe in “all-or-nothing” approaches, preaching that you must adopt a single methodology on all projects if you ever hope to achieve breakthrough performance across your project portfolio. You know instinctively that there must be a smarter, “best-tool-for-the-job” approach…and your instincts are right.